On our frequent trips along the old Roman road that stretches from Cádiz to Almería – first the Costa Tropical, then the Costa del Sol – we discover new places to eat. Sometimes we just keep driving with the music blaring and arrive in Málaga to enjoy its maze of streets, plazas and, a favourite spot, the port area. The western end has the huge cranes (which can be seen miles away) and cruise liner embarkation jetties, while further east, along the Paseo España, there are many bars to relax and watch the world go by. This week there was a beautiful tall ship from Norway bobbing in the harbour. As we write, there’s an almighty wind – thanks to a cold front pushing south across Andalucía, due to Storm Imogen south west of Ireland. If it’s as blowy as this on the costas, a few boats could be driftwood by now. 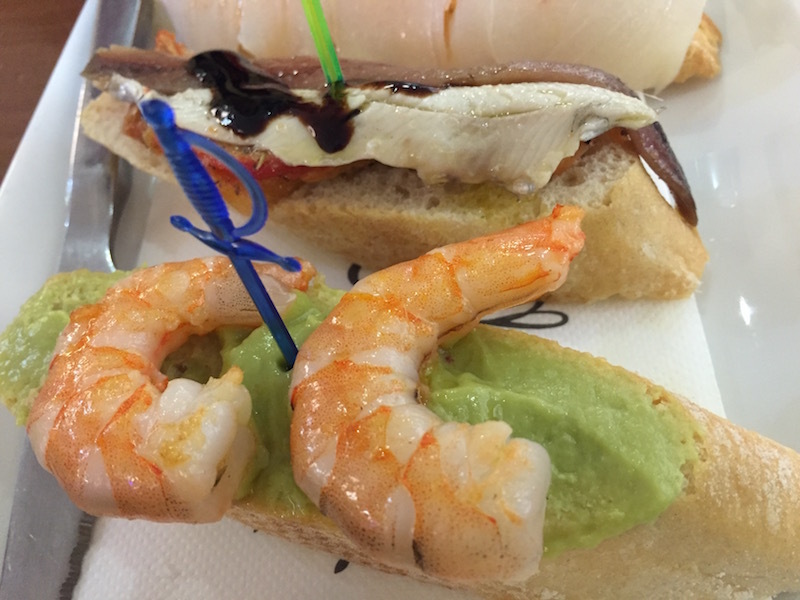 One of the delights of living in Spain is the ubiquitousness of cheap, good-quality places to eat. And should you venture to the cities, it’s a myth that restaurants and bars near tourist attraction are always expensive. 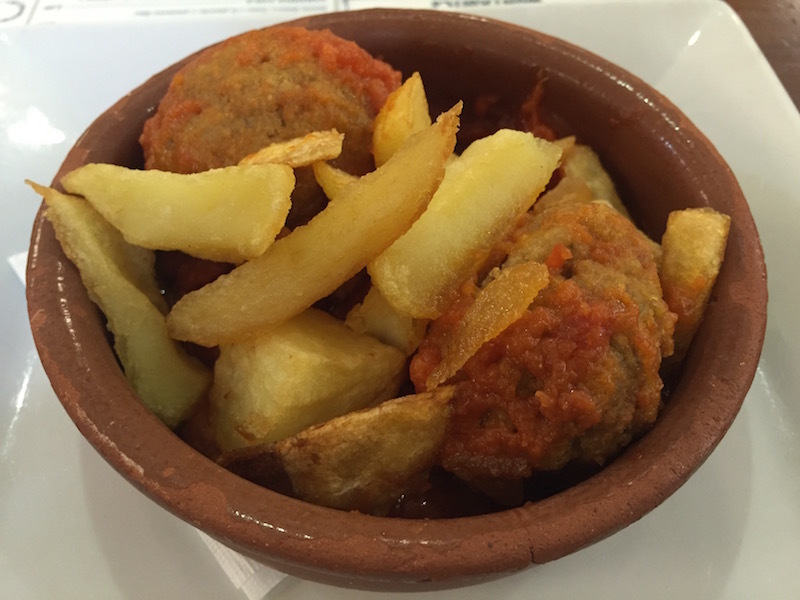 Casa Lola, a short stroll from the cathedral in Málaga, proves the point. However, on the way to it, you’ll be made to feel a tourist by staff waving pictures of pizza and paella at you – but just keep walking until you find the place. Opening in 2010, it’s is a bright modern bar with an old-fashioned twist, so it feels like it’s been around longer. It has a decent, good-value menu serving both tapas and pinchos – with friendly and attentive waiters. We both had a traditional Spanish vermut – sweet and raisiny – which was large and only 2.50€. 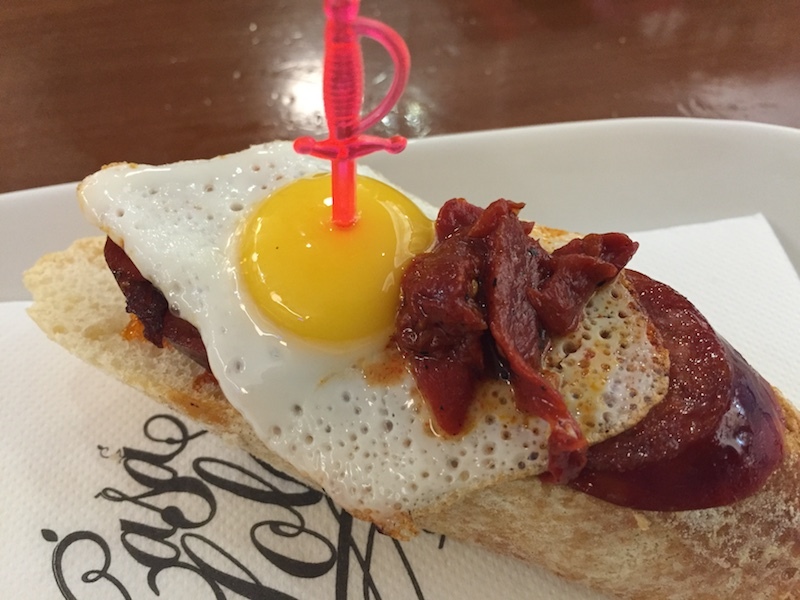 Our eyes then turned to the food choices: Huevo de codorniz a la plancha, chorizo picantito divisa (quail’s egg and chorizo on bread); Base de tomate, corazón de alcachofa, béchamel de crema de queso y virutas de jamon ibérico horneado (a tomato base on bread with artichoke heart, béchamel and baked Iberian ham and Salmón con pepinillos, alcaparras y huevo de codorniz cocido (Salmon with gherkins, capers and boiled quail egg). Many of the dishes were 2€ or 2.50€ so it was possible to try several and not break the bank. The croquetitas – we chose oxtail but they included spinach, jamón or bacalao (cod) – were exquisite, albeit finished in two bites. The meatballs (albóndigas) were good too. 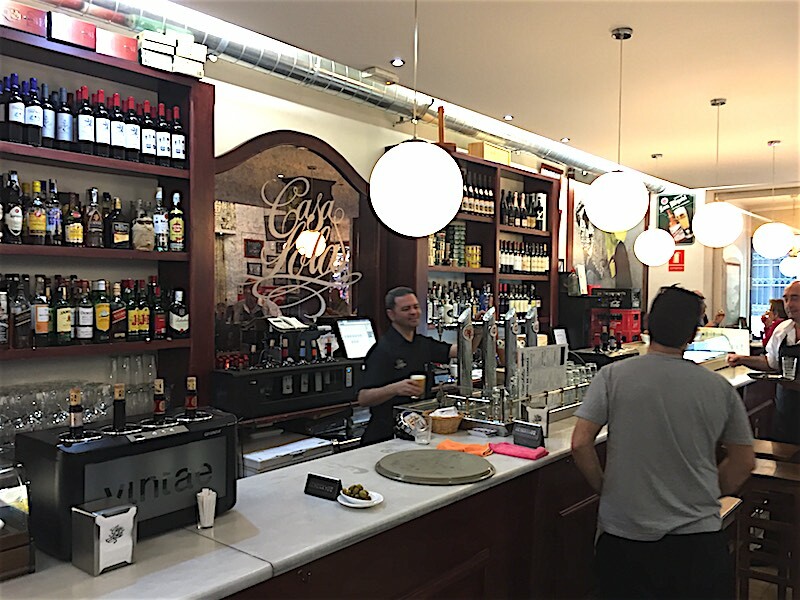 Most visitors to Málaga head for the area where Casa Lola is situated, so if you visit, be sure to try it out – along with nearby El Pimpi. I don’t know this place, we’ve never been. But we must try it out. I love discovering new places.